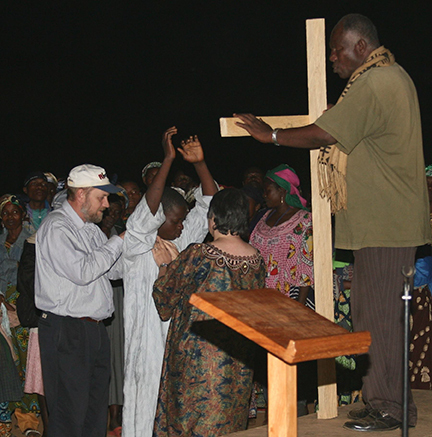 Evangelistic crusades are often the first step to bringing people to Christ. These are typically linked to our free Medical outreaches, our prison ministries, and agricultural outreaches. We first meet the person’s need, developing relationship and trust, and then we hold a crusades to bring them to Christ and to grow their faith. These give us a base of new believers for church plants. We follow these up with discipleship programs like Rightly Dividing the Word, Leadership, Pastor and Business conferences, Youth conferences, Ripples women empowerment programs, our children’s ministries and so much more.